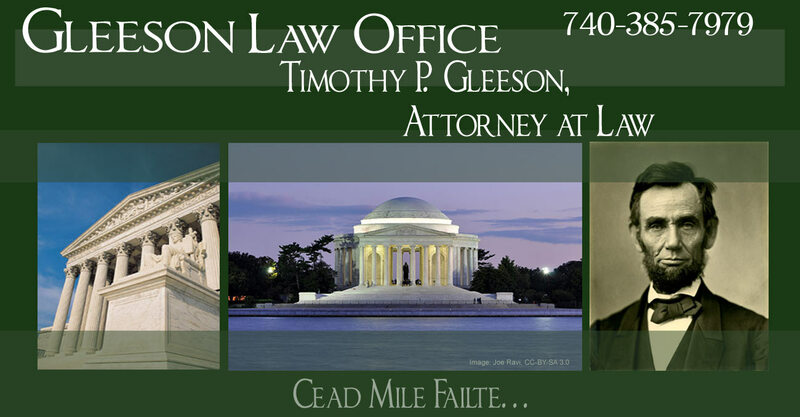 Attorney Timothy P. Gleeson has been a lawyer practicing in the Southeastern Ohio and Hocking Hills regions since 1990. He has over 27 years of courtroom and trial experience, with 10 years as a Prosecuting Attorney. He is admitted to practice law in all state courts throughout Ohio, in the Federal District Courtfor the Southern District of Ohio, in the Federal Sixth Circuit Court of Appeals, and in the United States Supreme Court. 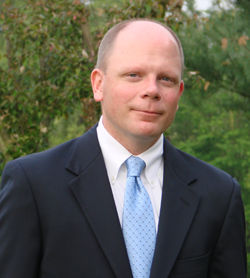 He is a member of the Ohio State Bar Association, the Hocking County Bar Association, and the Vinton County Bar Association. He earned his Law Degree at the University of Cincinnati, in 1990 and earned his undergraduate Bachelor of Science Degree in computer science from Xavier University in 1986. He is a proud husband and father.